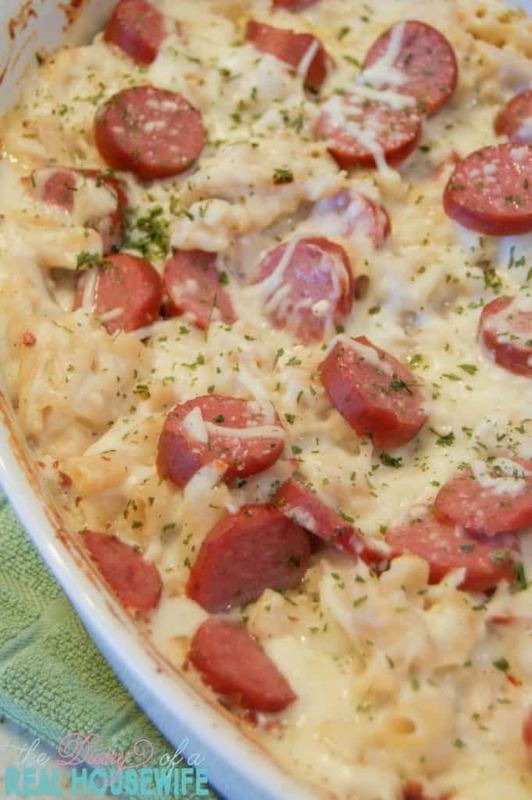 This Cheesy Rice with Kielbasa and Broccoli will be one your entire family loves! My kids even asked for seconds! Plus, it’s perfect for an easy weeknight meal. 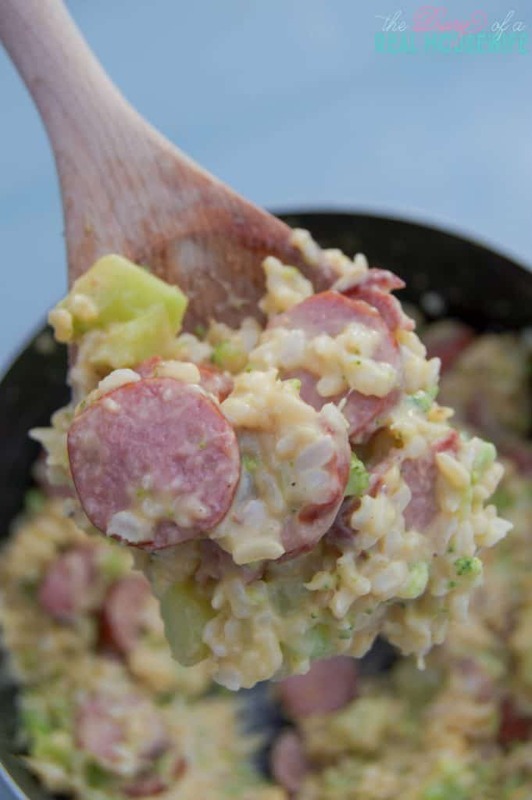 No matter what you call it you are sure to love this Cheesy Rice with Kielbasa and Broccoli. To make it all simple I made everything in the same pot. 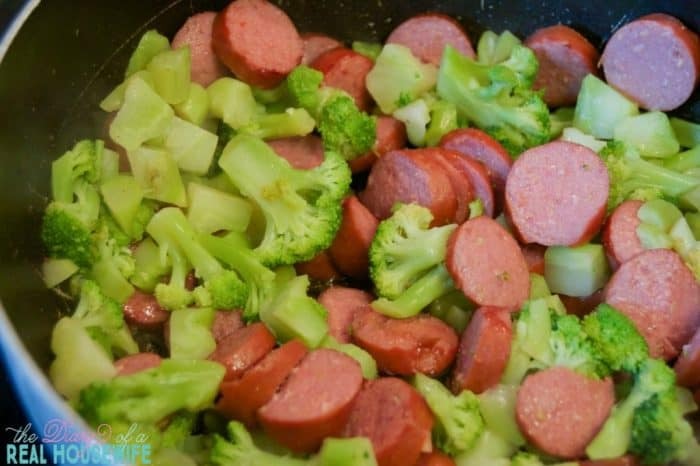 I started with my broccoli and kielbasa in a large pot and boiled it until the broccoli was soft. You can use another pan to make your rice, but if you hate dishes as much as I do then just set aside the broccoli and kielbasa and use this pan to cook your rice. 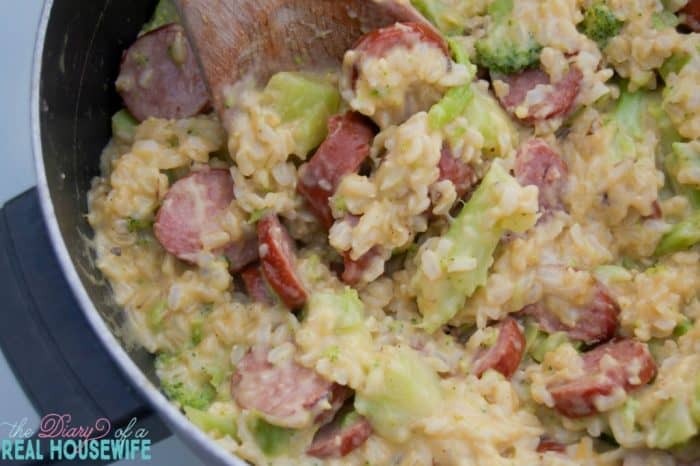 Once your rice is cooked add your kielbasa and broccoli back into your pan. I seasoned it with garlic powered, salt, and pepper. 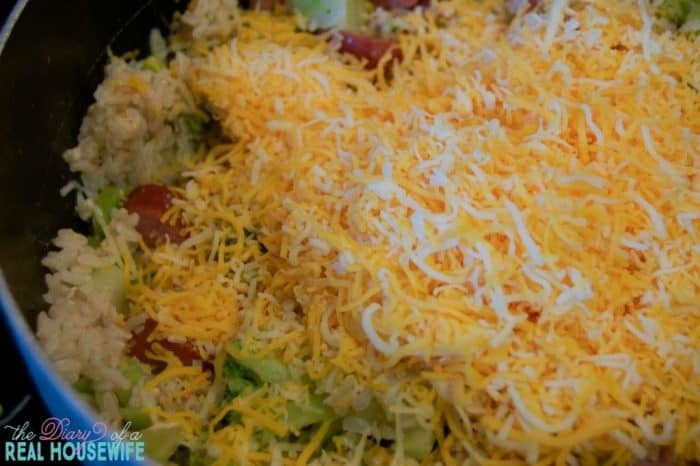 Then add the shredded cheese. Once everything melts together it’s ready to serve! Planning and making dinner takes a lot of time and energy that busy moms just don’t have! Want someone else to do all the work for you? Stop by and check out my newest E-Cookbook that has a month of recipes with 4 weeks of meal plans and shopping list! You can learn more about it HERE! 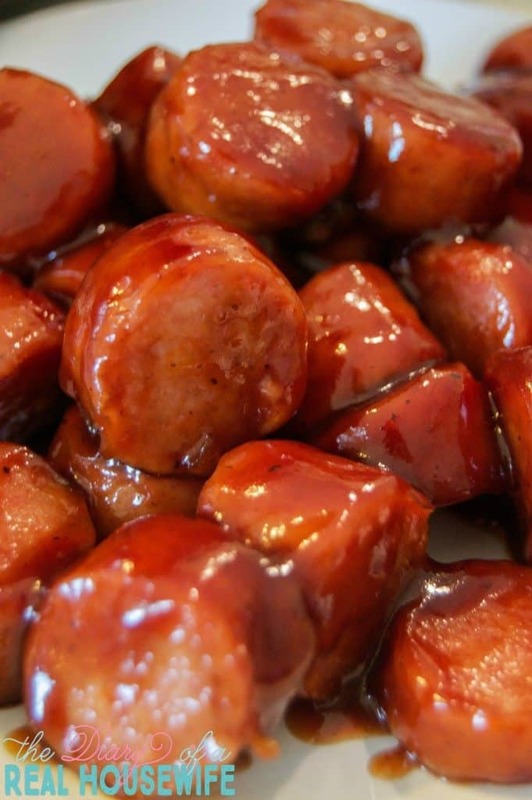 In need of a super easy dinner idea? 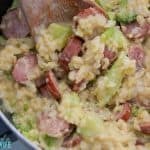 This Cheesy Rice with Kielbasa and Broccoli is a family favorite that has everybody coming back for seconds. Add broccoli and kielbasa to a large pot and just cover with water. Bring to a boil and allow to cook until broccoli is soft. Drain in a colander and set aside. In the same pan add brown rice and chicken stock. Bring to a boil then cover and reduce heat. Allow to cook according to package directions until rice is cooked and the chicken stock has evaporated. Return broccoli and kielbasa to the pot with rice on low heat. Season with garlic powder, salt, and pepper and mix. Add shredded cheese and mix until until melted and warm.